Phka Sla Krom Angkar is the only proposed judicial reparation project that has been developed for the benefit of Civil Parties in Case 002/02. This project addresses the harm suffered by men and women as a result of forced marriages. Phka Sla Drama Dance is a component of this consortium project. This Original Dance Drama is written, directed and choreographed by Mme. Sophiline CHEAM SHAPIRO and performed by Sophiline Arts Ensemble. Its original music was composed by Doctor HIM Sophy. The costumes and sets were designed by HOU Remy. 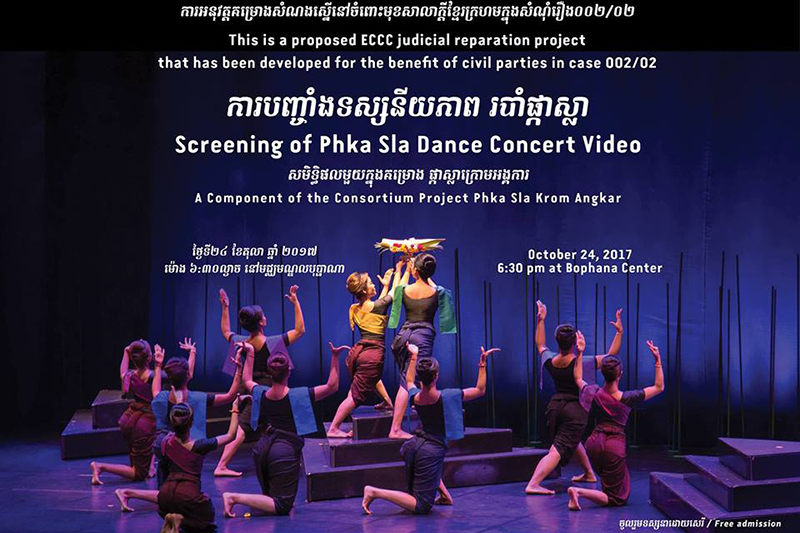 This screening of Phka Sla Video Concert Video will be organized and hosted by Bophana Center.